We love listening to the radio while we clean up around the house or go about our daily business. We recently heard about a new program from Smart Kidz Media called Smart Kidz Radio and were eager to give it a try. 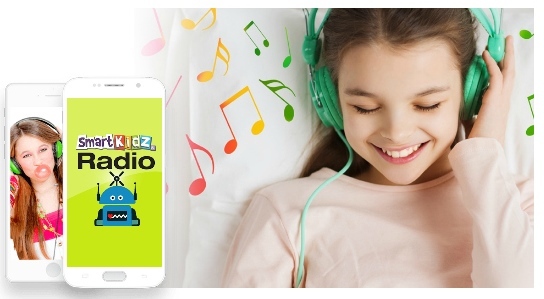 Smart Kidz Radio is a free online radio station designed just for kids! You can listen in 24 hours a day, 7 days a week through the website or one of their apps. The Smart Kidz Radio Live Stream is available in the app store for both Android and IOS devices. If you prefer to not add another app to your device, it can be streamed from your computer as well. Once you’re ready and either have the app or the website open, all you have to do is create an account and start listening by pressing the play button! My kids were able to do this independently after I set up the account. We’ve listened a lot over the past few weeks and my younger children really like the songs. I definitely think the songs on this website are geared toward preschool and younger elementary school students. Most of the songs have a teaching aspect like respecting your parents or being kind to friends. At times, it did seem like we heard several of the songs more often than others, but that’s okay with us given it’s a free program. 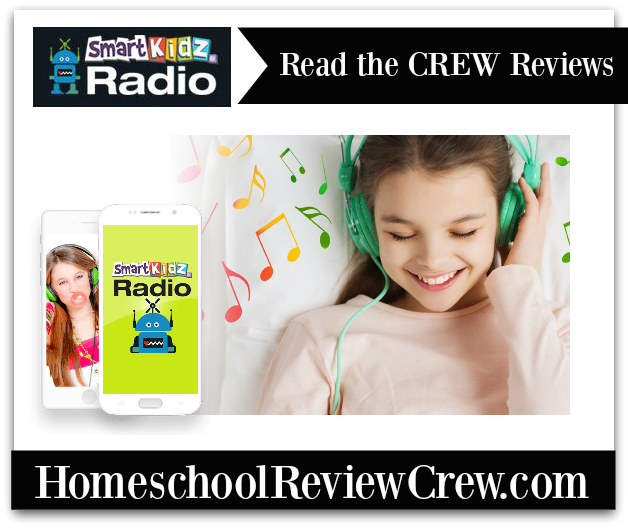 Our family will continue to use Smart Kidz Radio when the littles want to listen to the radio. I also see us continuing to use the podcast section to listen to the fairy tales. For more information, please visit the Smart Kidz Radio website. You can also find out more on Facebook and Twitter. Want to read more reviews about this product and others? Simply click the banner below to hear what other homeschool parents had to say.